Welcome to my website which I hope will give you an idea of how I work as a BACP accredited counsellor and psychotherapist. I am very passionate about my work believing change is available to us all if we want it. 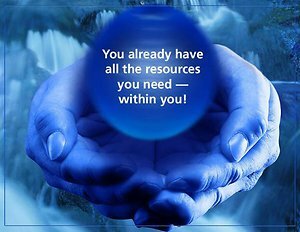 I offer counselling in Ripley, Surrey. 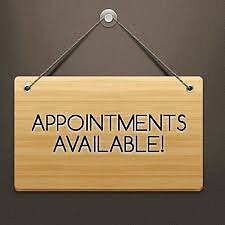 Please contact me if one of these appointment time would work for you on an ongoing weekly basis. What is interesting in life is that we are only born with two fears.....fear of falling and fear of loud noises; everything else (thoughts, feelings and behaviour) is learnt and what is learnt can be unlearnt. It is important for you to find the right counsellor / psychotherapist for you. Couples - £30 due to pre-assessment work. Whatever your reasons for seeking counselling / psychotherapy our sessions are confidential and separate from your everyday life. I work with men and women on an individual and couple basis. (Being diagnosed with a label and finding a word that accurately matches experience, whether internally or externally, can help something shift inside bringing understanding and awareness yet each person is so much more than a label being unique, special and different). Counselling Ripley. Counsellor Woking. Psychotherapy Guildford. I offer counselling in Ripley (in Surrey) so if you are looking for a counsellor near Woking or psychotherapy near Guildford I could be the counsellor for you. My office is located on the first floor of business premises (sadly no lift available). My counselling office in Ripley is accessable to the surrounding villages of Burnt Common, Send, Old Woking, Ockham, Pyrford, Knaphill, East Horsley, West Horsley, Sheerwater, Wisley, Sutton Green, Jacobs Well, Cobham, Shere, Shalford, Effingham and Clandon being on the Portsmouth Road (B2215) in Ripley. If you are coming from further afield you are likely to use the A3 to access counselling in Ripley being convenient for psychotherapy near Guildford, Godalming, Worplesdon, Ash, Aldershot, Merrow, Burpham, Farnham, Dorking, Milford, Chiddingfold, Esher, West Byfleet and Byfleet as all are within a 30 minute journey. If you do not have use of a car and require a counsellor near Woking then bus numbers 462 and 463 will get you to within 50 metres of my Ripley Office. Likewise, if you require counselling and psychotherapy near Guildford or Kingston, you connect with bus 715. Counselling is a journey and in the words of Carl Jung "I am not what happened to me, I am what I choose to become." What will you choose to become?